I like to eat. Everyone likes to eat I imagine. And a lot of people in the metro love dining out as evidenced by numerous restaurants and franchises popping-up here and there. 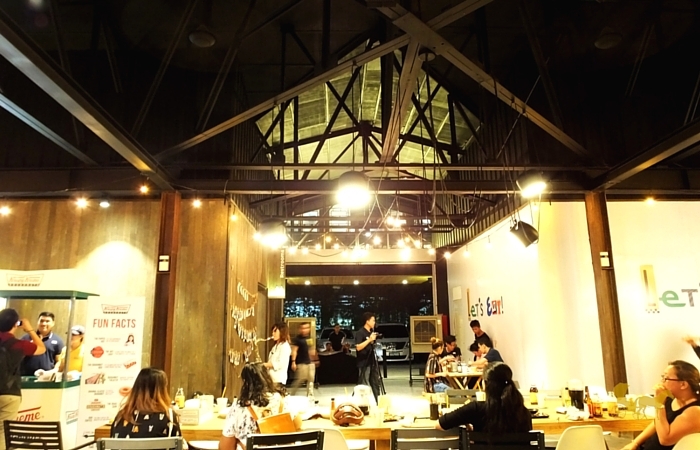 Apart from the food itself, ambiance is also a factor for me, good thing Max's Group Inc (MGI) just hatched this crazy good idea to create this cozy, engaging and conversation-friendly eating concept in Bonifacio Global City Taguig. Burgos Eats allows MGI—the largest casual dining operator in the country—to go beyond their individual stores and create a venue where a community of diners can interact with each other and some of the company’s loved food brands, such as Yellow Cab, Pancake House, Teriyaki Boy, Krispy Kreme, and Jamba Juice. Can we just take a moment to appreciate the hanging lights? 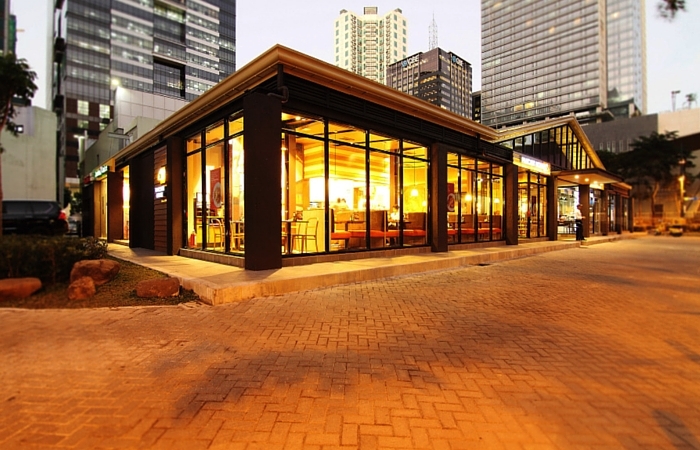 One of the features this shared-space brings is that you don't have to restaurant-hop to try each restaurant you want. 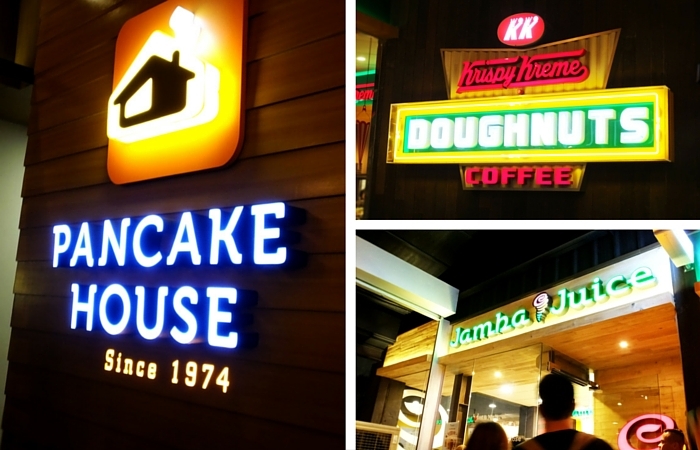 For example, you can order from Krispy Kreme while staying put at Jamba Juice with your smoothie. This table in the middle can be occupied by anyone dining from any of the restaurants available inside Burgos Eats. Benches and stools are also available within the area so there's plenty of seating to go around. 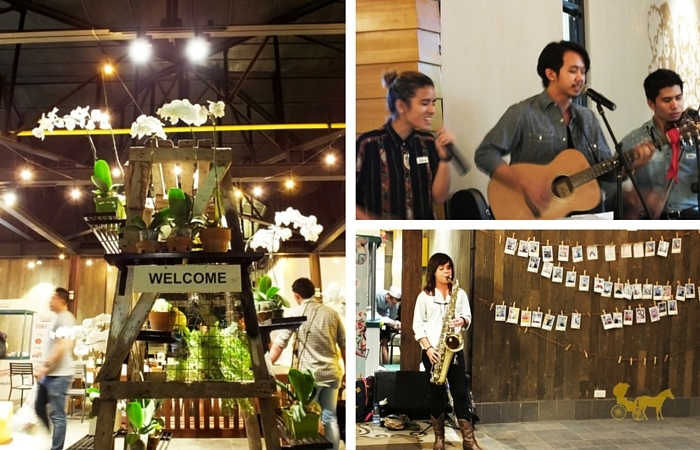 During the launch last November 2nd we were treated to live music by Roxy Modesto, Slow Sink and KidThrones. Sax with techno (or was it house? I have no idea) with guitar and violin. Experimental. Different. And it was really good. 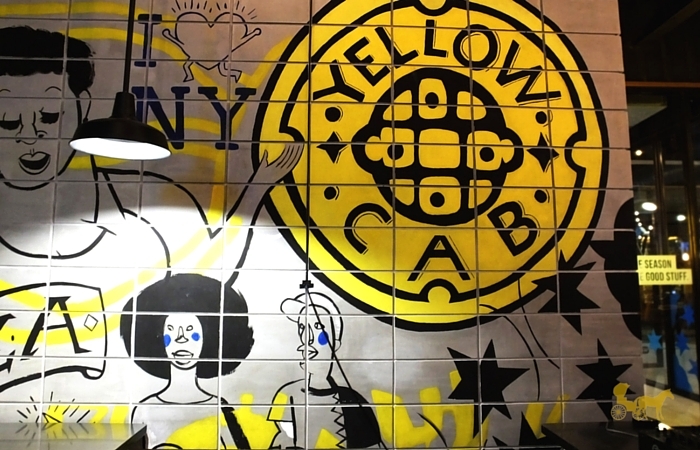 Mural made specially for Burgos Eat's Yellow Cab. 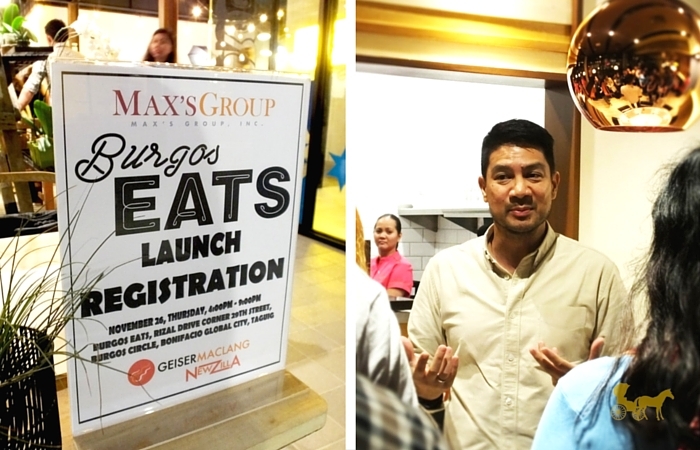 “We envision Burgos Eats to become a breath of fresh air in the local casual dining scene and enrich the Filipinos’ dining tradition while catering to the country’s changing food culture.” says Jim T. Fuentebella, MGI’s Executive Director for Marketing. 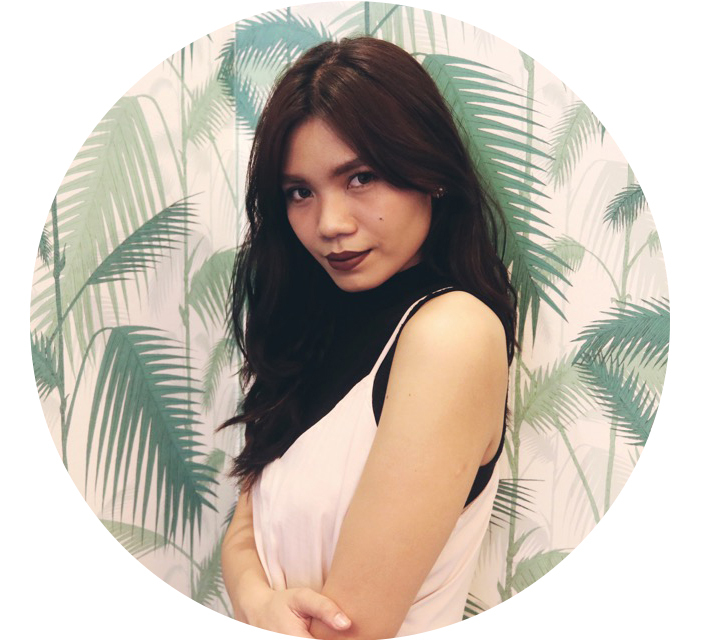 The "old-worn-out-wood" look. The furniture. The roof. The lanterns. THE SLIDING DOORS! 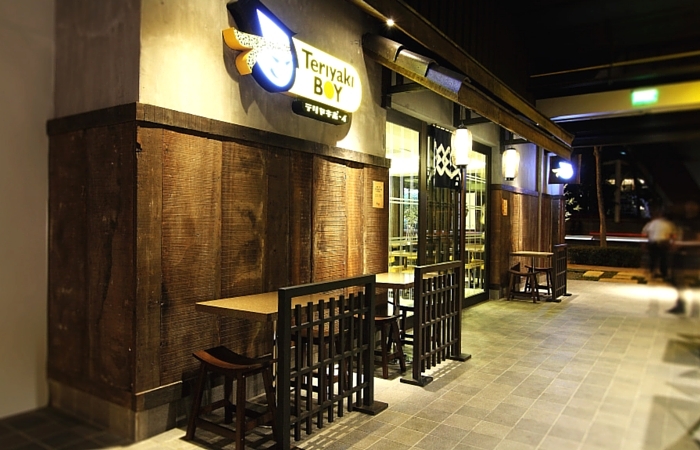 This particular branch of Teriyaki Boy screams authentic Japanese facade. Amazing job designers. This new hub will be a dining experience I can't wait to try with my friends soon. What do you think? 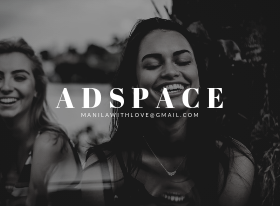 Will you check it out? PS. You really have to go see it for yourself. I imagine it would be prettier at night, but that's just because I liked the lighting so much that time. PPS. Here I am moonlighting as a Juicer(?). Is that how they're called? Thanks for letting me make my own drink at Burgos Eats MGI! Good thing they gave me the recipe. I just wanted to get all the fruit I could find and chuck it in the blender. 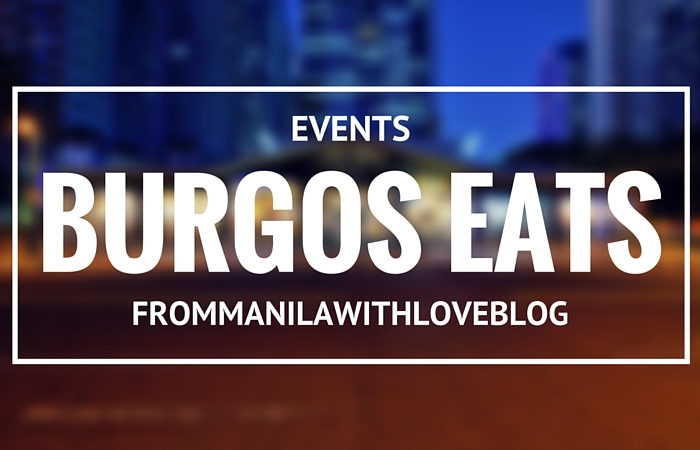 Burgos Eats - Rizal Drive corner 29th Street, Burgos Circle Bonifacio Global City, Taguig City. Behind The Mind Museum.